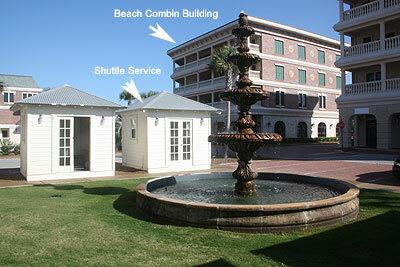 "Beach Combin" is located at "The Village" in Seacrest Beach Florida between Seagrove Beach and Rosemary Beach. Better than a hotel and away from it all. Stay at this beautiful condo on Scenic 30-A at hotel rates or better and have more room and privacy at this corner unit that overlooks the Center Square at The Village of South Walton, a European-style development in Seacrest Beach on Scenic 30-A along Florida's Emerald Coast. 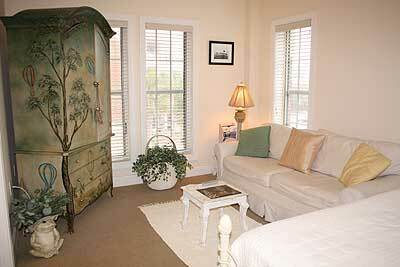 For business or vacation, you'll love "Beach Combin" a studio for up to four guests. Enjoy the on-site pools - a lap pool heated certain times of the year and a wading pool right beside it. Stroll the cobblestone streets through the Village of South Walton for shopping and for casual or fine indoor and outdoor dining. Walk or ride the tram to the beach in peak season. 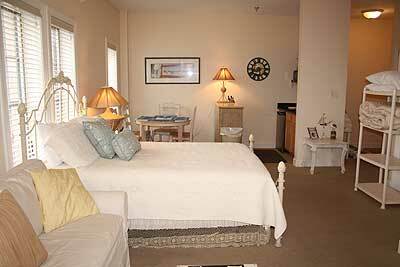 "Beach Combin" studio has a Queen bed, Queen sleeper sofa, flat panel TV and DVD player. 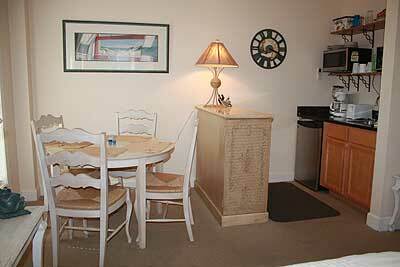 This unit also offers a partial kitchenette and dinette with seating for four. 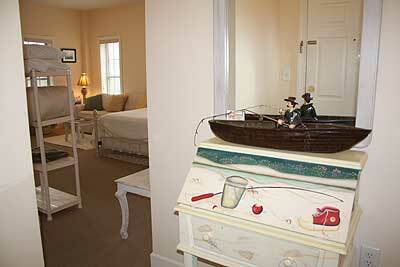 The approximate square footage of this unit is 420 square feet. 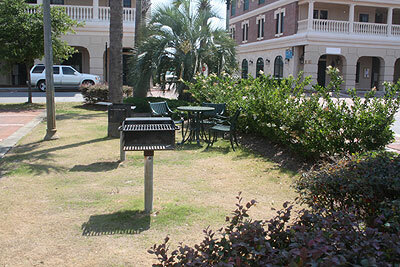 The Village of South Walton offers restaurants and shopping just steps away, and upscale Rosemary Beach, next door, is full of unique shops and the best outdoor cafes and wine bars. 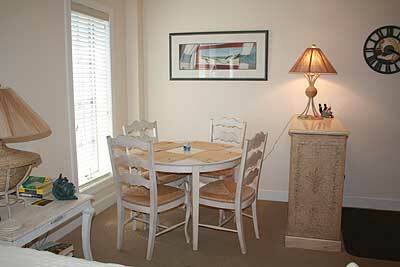 This unit is also only a 15-25-minute drive to the main attractions of Panama City Beach or a 10-minute drive to Seagrove Beach Florida or the community of Seaside. 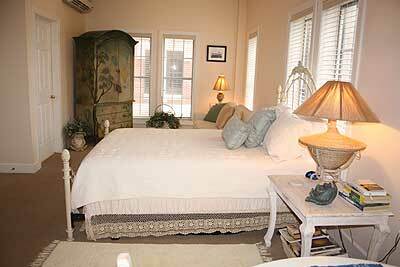 Whimsical & cozy touches. TV, DVD, and Stereo. Queen sleeper sofa. Many games and books! There are two pools to enjoy. One is a lap pool and the other is a wading pool right beside the lap pool. 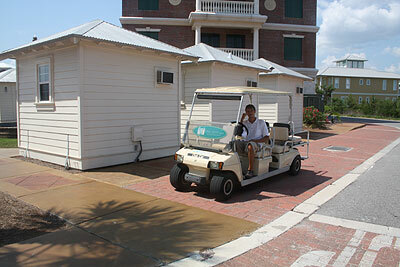 Even though the beach is only a 5 or 6 minute walk away, there is a Free tram exclusively for The Village of South Walton that runs usually every 20 to 30 minutes in season...especially helpful for guests carrying lots of beach stuff. A lap pool and wading pool are on site right behind the building. 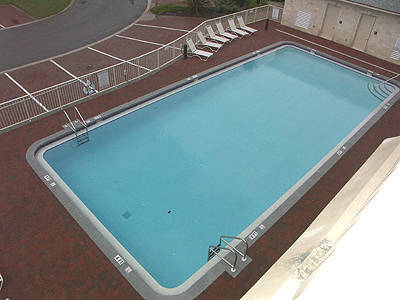 This pool is usually heated certain times of the year. * A 4-night minimum is required Thanksgiving and New Years at $69/night, and a 3-night minimum is required Christmas at $69/night. 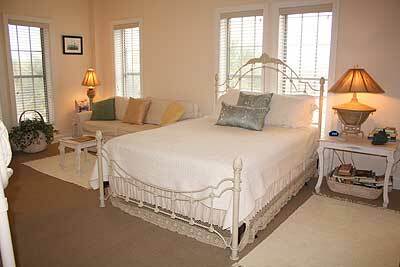 Shorter stays are considered closer to an arrival date if the property has not booked.